Several months and several compelling challengers later, Samsung’s brilliant Galaxy S8 still ranks atop our list of the best smartphones today. And it may be the Galaxy S9 that ultimately dethrones it. Yes, just as the sun rises each morning, Samsung will debut a new Galaxy S smartphone in 2018. But after the startling transformation seen with the Galaxy S8, will Samsung try to reinvent the handset yet again, or opt to refine and enhance what worked so well the last time around? Extensive leaks suggest the latter, but the Galaxy S9 may pack a couple of surprises in the mix. With just weeks remaining before the official reveal, here’s a look at everything we know so far about Samsung’s next super-phones. When will the Samsung Galaxy S9 be out? 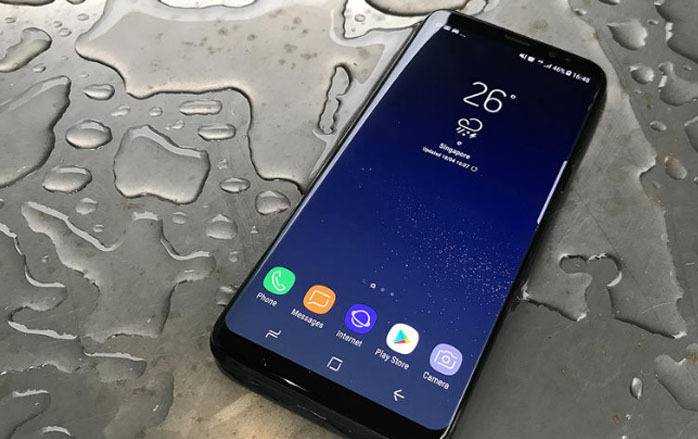 We first saw the Samsung Galaxy S8 (shown) in March 2017 and the phone shipped a few weeks after, but we will see the Galaxy S9 earlier in the year. Following rumours that pegged a launch anywhere between CES in January and sometime in March, Samsung mobile president DJ Koh confirmed to ZDNet that the Galaxy S9 will be revealed at Mobile World Congress (MWC) 2018 at the end of February. 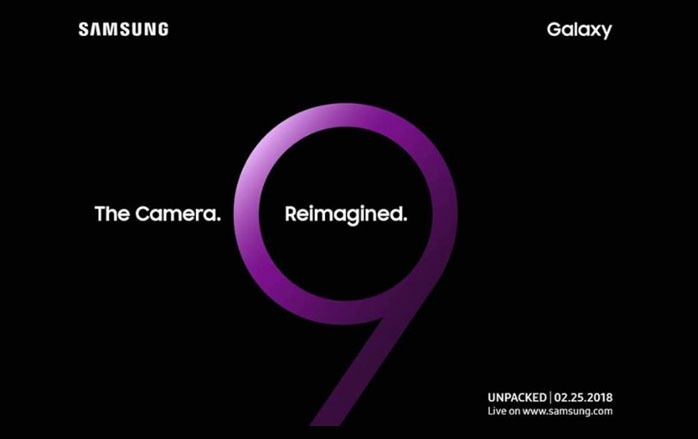 And now we have an official invitation: the Galaxy S9 will be first shown at a Samsung Unpacked event in Barcelona on 25 February, just before the official MWC festivities begin. Samsung’s teaser image says, “The Camera. Reimagined.” That lends some credence to the rumours of an adjustable aperature for the main back camera. VentureBeat suggests that the Galaxy S9 and S9 Plus will then begin selling on 16 March, which just so happens to be the date shown on the leaked render up top. How much will the Samsung Galaxy S9 cost? We haven’t heard any substantive rumours about the Galaxy S9’s ticket price, but flagship phone prices have been trending upward over the last year – and we fully expect Samsung to bump up the S9’s price at least a little bit. 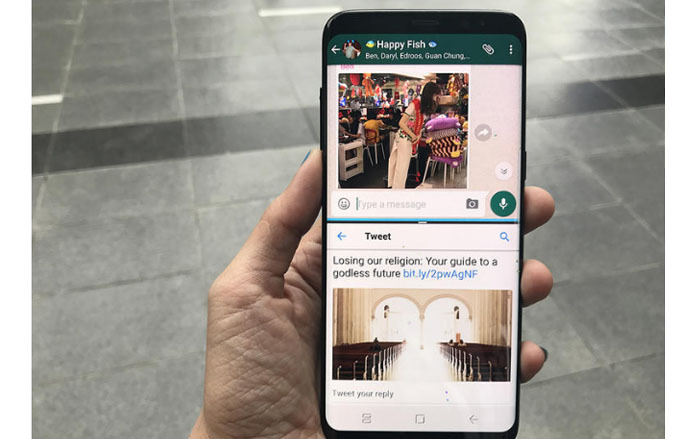 The Galaxy S8 launched at RM3299 with the Galaxy S8 Plus weighing in at RM3699 – and then Samsung launched the Galaxy Note 8 at a staggering RM3999. Of course, Apple topped all of those phones with the RM5149 iPhone X, while the Pixel 2 XL came in at RM4599. Adding RM300 or even RM500 to the price of last year’s models wouldn’t be out of the question, although Samsung needs to remember Apple still sells the hugely popular iPhone 8 and 8 Plus – launching at a more expensive price than these could drive people away from Android and towards iOS. What will the Samsung Galaxy S9 look like? Have you seen the Galaxy S8? Yeah, the Galaxy S9 will look a lot like it. And that’s fine, considering how gorgeous the Galaxy S8 (shown) is. Remember how the Galaxy S7 was a near-duplicate of the Galaxy S6, aside from some very slight tweaks? That’s what we’re expecting from this year’s evolution. In fact, that image up at the top appears to show the Galaxy S9 and Galaxy S9 Plus in their official forms. The render hails from Evan Blass over at VentureBeat, and the notorious leaker has spilled the beans on countless phones over the last few years. We trust his reporting, especially given the other Samsung phones he’s leaked in the past. With the same 5.8in and 6.2in screen sizes pegged for the models, there’s been little in the way of rumours about transformative changes. Meanwhile, VentureBeat suggests that the fingerprint sensor will now be located underneath the camera array, instead of awkwardly next to it. Meanwhile, SamMobile suggests that there will be a new purple colour option in addition to black, gold, and blue. Interestingly enough, leaker Ice Universe suggests that Samsung nearly trimmed a lot more bezel from the bottom of the Galaxy S9, but that the rendition “did not pass the test and was killed.” So we could’ve gotten something with a bit more visual difference, although it sounds like it would have been very similar otherwise. WHAT ABOUT THE SAMSUNG GALAXY S9’S SCREEN? As mentioned above, it sounds like Samsung is sticking with the 5.8in and 6.2in screen sizes from the Galaxy S8, and as before, those will be extra-tall displays that dominate the entire front of the screen. Every time a Galaxy S phone is coming, there’s always speculation that Samsung is considering a 4K display – which would make Gear VR experiences significantly better. But we haven’t seen too much talk on that this time around, so we expect another Quad HD (2K) Super AMOLED screen on there. Which is still awesome. VentureBeat says that the screens will be nearly identical to last year’s in size and quality, so that’s what we’re expecting. HOW MUCH POWER WILL THE SAMSUNG GALAXY S9 PACK? It’ll be evolution here again, as Samsung is expected to use a newer version of its 10-nanometer Exynos system-on-a-chip for the Galaxy S9 in some territories, and the just-revealed Qualcomm Snapdragon 845 elsewhere. How powerful those chips will be remains to be seen, but they should provide a nice step up over the still-top-of-the-line Exynos 8895 and Snapdragon 835. Apple’s latest iPhone chip, the A11 Bionic, is beating every Android contender in benchmark testing, so we’ll see whether Samsung and Qualcomm can take a fresh lead in the spring. Samsung has pretty much confirmed it will be revealing the chip on the 4th of January, complete with gigabit LTE and a beefier GPU for smoother gaming at high resolutions. As for RAM, VentureBeat suggests that the Galaxy S9 will ship with 4GB RAM while the Galaxy S9 Plus will join the Note 8 in offering 6GB RAM for a little extra zippiness. WHAT KIND OF CAMERAS WILL THE SAMSUNG GALAXY S9 HAVE? Here’s another rumoured advantage the S9 Plus will have: a second back camera. Much like the iPhone 8 and 7 models, the core S9 will reportedly have a single camera on the rear while the S9 Plus will offer a Note 8-esque dual-camera setup. The main camera on both could offer the widest aperture seen on a smartphone to date: f/1.5, which is a notch better than the f/1.6 aperture seen on the LG V30 and Huawei Mate 10 Pro. This is very much a rumour right now, though, as no other phone company has managed to create a camera with such a wide aperture. Samsung has a China-only flip phone that can do it, but that’s made in much smaller numbers than what would be needed for the global Galaxy S8. The secondary camera on the S9 Plus will reportedly come in at f/2.4. That’s not all: a report from Chinese site VTECH (via Neowin) suggests that the Galaxy S9’s main cameras will offer adjustable aperture, ranging between f/1.5 and f/2.4 depending on the lighting conditions. Consider that a serious step towards true DSLR-like quality from a phone camera. Samsung just launched a flip phone with that kind of feature in China, interestingly enough. Also, Samsung’s Galaxy S9 event invite (up top) suggests a major camera reinvention, and an adjustable aperature on a smartphone would certainly fall into that category. And now VentureBeat has confirmed the reports about the variable aperture setting on the main 12-megapixel camera, although the secondary 12MP sensor will be a fixed camera. They also report that it will offer “motion-detected, ‘super slow-mo’ video capture (rapid movement triggers 480fps recording at 720p).” We should also see an 8MP selfie shooter on the front. IS THERE ANYTHING ELSE I SHOULD KNOW ABOUT THE SAMSUNG GALAXY S9? Also on the audio front, the site suggests that the Galaxy S9 models will have AKG stereo speakers, adding a bit more bump to your playback. And lastly, the so-so DeX Station (shown) from the last time around – which let you link up a display, keyboard, and mouse and use the S8 as a PC – is getting a reboot. 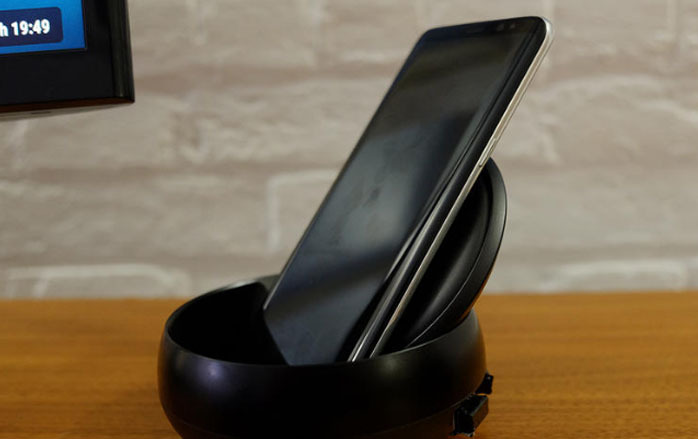 Now the docking station will lay flat, letting you use the screen as a touchpad or keyboard. Handy! Samsung is probably going to call it the DeX Pad, or at least that’s the name the company trademarked in December. It sounds like you might just lay the phone down on the pad, rather than dock it or plug it in, with wireless charging keeping you topped up. Samsung Galaxy S8 Plus vs Huawei P10 Plus: Which is best?